I was visiting friends who were all coughing. And coughing into their hands instead of their arm. When you cough into your hands you are spreading the germs to door knobs and anything else you touch. Sure enough I came down with acute bronchitis. Coughing so hard you feel like you've done a thousand abdominal crunches. I was put on prednisone and albuterol Inhaler. One thing I find that helps is a fan on at night. It covers up that annoying wheezing lung sound. Found it helpful in sleeping. I had a root canal yesterday morning. I've had a couple of these procedures in the past and they all went very well with very little pain. This time, not so lucky. The procedure itself was not so bad because I had been numbed up, but within a few hours of leaving the chair the left side of my face started to swell and the pain increased. Now, 36 hours after the procedure I'm badly swollen all along my jawline to my lips. It looks like I've got a ping pong ball inside my mouth. Throbbing pain is keeping me awake as I write this at midnight. The doctor has prescribed a powerful antibiotic, but nothing seems to be helping. I am hopeful that the pain and swelling will go down tomorrow as I can't work, sleep or even eat properly as it stands now. I just had a root canal done and it was very painful whatever they did after taking the nerve out. It was very painful and even now after three days it hurts. I am taking painkillers every 6 to 8 hours, and antibiotics. I went to my dentist in pain at first thinking it was just that my filling needed to be done again and they said I needed a root canal. After starting the process they gave me the bill of about 1700 which doesn't include the post (475) and the crown 1100. I have insurance but they said they don't pay out that much. I'm up at 4 am now in pain. I feel like getting the tooth pulled. This was a bad experience for me. I cannot afford this bill and still in pain. After feeling pain in my back molar for about two days I immediately sought dental assistance. I had my first root canal done today. After three shots in my gums in the area where the tooth was, I was numb to the world. I put on my headphones and listened to music as instructed by the dental assistant. After about 1 hour of drilling and tugging I was done! I had no pain during the procedure whatsoever. Afterward the assistant gave me two 400 mg ibuprofen to take before the numbing wore off. I did feel a tad sore for maybe 20 minutes after the procedure. After that the ibuprofen had kicked in, the numbness wore off and I haven't taken any medicines since. I feel awesome! I went to an endodontist's office and the dentist told me it was a great call to not have waited around and I advise anyone with tooth problems to go fast! Save your tooth and avoid a painful experience. The doctor was also very pleasant, as well as his staff. Great experience! I had a root canal on one of my bottom front teeth. It was a very long but painless procedure. My tooth was a little irritated the next day but today is day three after the procedure and the pain is killing me. I hope the pain eases soon because it's only Saturday. My root canal procedure was lots of pain. I can't bite down on that tooth and the crown replacement has been postponed due to the pain/inflammation. This is my third root canal, and different endodontist. I won't have any other done in the future and will consider other options, i.e., implants. I was extremely nervous before the root canal procedure but it was 100% painless! Sure, all the tool noises weren't great but I felt no pain during the procedure and even better, no pain afterwards. The dentist said that ibuprofen will help with the expected pain which I was scared about, but I ended up needing no ibuprofen at all. Fantastic, really! I know it sounds crazy but it really did go great! I had a root canal through a crown. This is the worst pain I have ever had with any dental procedure. It's the 3rd day and it is excruciating. I cannot take much more. First root canal was actually 2, one in tooth 6 and one in 7. Both teeth needed posts. Entire procedure took about 90 minutes including drilling tooth 6 for 5 minutes and tooth 7 had calcified root which took 20 minutes to remove. Numbness wore off as I was leaving the dentist's office. I took 4 Advil followed 6 hours later by 2 more Advil. Two days later there's no pain, but gums were a little sore. This procedure was easier and less painful than a crown fitting. I have had 3 root canals. The first was with a very elderly general dentist. I didn't feel anything but slight pressure. The second was with a resident endodontist at the local dental school. The nerve testing was extremely painful, but she immediately numbed the area. I didn't feel anything put pressure. After the tooth was finished she gave me ibuprofen. The third was with a student dentist at the same dental school. Again the nerve testing was very painful, but was numbed right away. I only felt pressure. The dental school procedures lasted about 3 hours each. The general dentist visit took about 1 hour. During the root canal, all was going fine, no pain, till the dentist stuck in rods with notches to measure tooth root length, which caused great pain and I had to be given more anesthesia. I'm guessing he pushed it in too far. I worked 2nd shift so I scheduled my appointment for 10 am. The root canal procedure lasted 2 hours and it was tiring with an open mouth and painful. I now have a crown but my bite is off and needs adjusting. It is still sore the following day and I eat only on the opposite side. I had to call in sick to work the day of the root canal procedure. My lesson is to do this when you have a day or two off to allow time to recover. It took 3 hours and 45 minutes, and I had to be numbed 4 times, tears streaming uncontrollably down my face. Then to make it even worse the dentist hits my vein under my tooth and I had to have laser to stop my bleeding; mouth full of blood. I had to ask for more numbing because I was afraid of what that pain would have been like. Pain pill made me puke, I'm not going back there again. I went in last Wednesday for my first root canal. I was so nervous I went through the surgery part really well. It didn't hurt at all the next day a little pain by the third day bad pain. It is Monday now called the dentist went in and had him look at it because I have a huge bump on the gum and in major pain. He said it was because there was a bad infection and that it didn't drain much when he was doing the root canal. I am now going to be on meds for 2 weeks and he gave me pain pills that doesn't seem to be helping much. I had two root canals done in October, they did not take so the dentist sent me to pain management. I just want the procedure to be done right the 2nd time around, but so far a brain scan is done and they still have not re-done the root canals. This is March and I am still wearing the temporary crowns. I"d had a root canal 30 years ago, silver point, which was uneventful, but that caused an infection just recently. I went to an endodontist who did a thorough evaluation, and did the procedure of extraction and re-packing 2 days ago. He was quite aggressive in needling the Novocain on the lower gum line in front (#23). The procedure went well, but the post-op pain has increased constantly despite being on penicillin, and taking Vicodin which can bring the pain score down from an 8.5 to a 5. Makes me wonder if some damage was done to a nerve. I will try for a follow up consult first thing tomorrow morning. Although I am the world's biggest baby there was no pain whatsoever. It was a root canal on my upper molar. My root canal experience was great. I was not nervous or stared because I knew I was in good hands. I have been seeing my dentist for nine years. He has been in practice for 40 years. I have never had a problem with him. He is very skilled and knowledgeable of what he provided. There's no surprises here. My last procedure is this week. At my first root canal visit he put numbing gel on gums and then gave me 2 shots of lidocaine in the gum where the procedure will be done. It felt like a bee sting. The drilling was the only thing i didn't like and the taste afterward in my mouth. After a couple of minutes I didn't feel any pain. The only side effect was my lips and mouth were puffy on that side and felt cold and numb. I couldn't eat on that side or drink until about 2 hours afterward. I did not want to bit my tongue or lip by accident. The first procedure took about one hour with waiting on the numbing gel medication to work. And 30 minutes for the second visit. I made sure I had taken once 400mg Ibuprofen afterwards. My doctor gave me antibiotic and Vicodin at the first visit. I didn't need the Vicodin at all (Very mild pain). The next following day, I was not in pain. Please make sure you ask questions and know the dentist experience when getting any dental work done and the cost. I hope this help! I had a root canal one week ago. I found it to be a painful procedure. Just giving the novocaine is bad enough. I read the entire article from this site. My dentist did not do any X-rays during my procedure nor used any type of microscope. The endodontist charged $1000 for less than 40 minutes of work, and the temporary filling fell out in three days. Make sure to thoroughly check out your dentist and have insurance. Good luck! I had a root canal done today on a tooth which already had a cap on it but was also abscessed. The dentist said he was unable to locate two of the canals .what does he mean by that? Tonight I am in extreme pain. He gave me a script for hydrocodone and I am also on Clindomycin...ugh..he is a DMD and I hope he knows what he is doing. I had an infected tooth on Memorial Day, and the pain was excruciating. I couldn't eat, sleep, or drink. I went to the dentist the next morning and had to have a root canal on a “hot” tooth. After six shots of novocaine, the dentist went to work. The only pain I felt was the last part of the internal tooth cleaning, only because the novocaine didn't fully work, due to the infection. Three hours after the procedure, I was fully pain-free and eating dinner that same night. I had a horrible experience. I was in and out of the dentist's office for eight weeks and never did get the root canal. By the time they were done trying to save one tooth, I had to have three removed. I never experienced so much pain in my life (and I have given birth twice). I couldn't sleep, I couldn't eat, it changed the look of my face because I got so swollen that when my hubby took me to the ER they thought he had beaten me. (Sort of funny now, but not then.) I got a horrible infection and had to have stiches up and down the inside gum lines. What a mess. Never again – just pull the tooth! I had sensitivity in a back lower molar. I went to my dentist for a scheduled cleaning/exam, which was done. Two days later, the same molar was painful. I called and the dentist started a root canal on the molar. Very painful experience, 6 shots of Novocaine required. A few more days went by and it was evident that I had an infection, so I was put on an antibiotic series for 10 days. I developed TMJ from all the manipulation of the visits. My tongue was numb and painful. I was told to wait 3 weeks. I went back to have the root canal finished up, and was put on another kind of antibiotic since I had not gotten rid of the pain. I am now taking narcotic pain relievers or Advil for it. Now, after nearly 8 days on the new antibiotic I still have a painful tooth. I can't chew on the tooth and I have a sore jaw bone below the tooth. I wish I had just gotten the tooth pulled, but it is a large molar. I never had so much trouble with root canals in the past. I had mine yesterday, I felt no pain during the procedure and afterwards was so surprised that I could eat only 2 hours after the procedure. I just finished about an hour ago a root canal on my #18 lower, rear molar. The tooth had a vertical crack in it after several years of replacing fillings. It was very sensitive to hot/cold and pressure (biting down on a piece of bacon was like an electrical shock). The dentist said a RCT was inevitable. I knew the nerve was sensitive so he gave me two shots to start. All felt numb until he started drilling, then he hit that nerve - OUCH! He gave me another shot right in the canal itself. Same thing happened again when he tried drilling - so another shot. Waited ten minutes and then the remaining drilling of two other canals was fine. All the other cleaning and filling work was pain free. I think the first canal was infected so nerves were "hot." All in all, though, the previous two replacement fillings in the same tooth were a lot worse. I had my first root canal, I'm 29 and I never even had a cavity! The only experience I've had was orthodontics, regular cleaning and the ever painful wisdom teeth! One day I just started having severe pain in my lower jaw...chin area. I went to the dentist and they saw nothing out of the ordinary but sent me to Endodontist just to be sure. Well sure enough I had nerve damage to a tooth that probably happened as a child, the tooth had been dead awhile but no one ever had caught it and it had never bothered me. I had to get a root canal and I just thought of horror stories with root canals. But honestly the worst pain was the numbing medicine. I didn't feel anything after the medicine kicked in and once it wore off I think where the needle had gone into my gums hurt worse than where they had done the root canal. And my mouth was a little sore but nothing to be afraid off. I had my first root canal today by an endodontist. I had been on antibiotics for 5 days from an excruciating abscess that had caused severe pain and cheek swelling. Was in extreme pain. My dentist had me scheduled for a root canal in 10 days. I took matters into my own hands, called my dentist and asked for a referral to an endodontist. They took me in one hour and the whole procedure took less than an hour, was painless, and I am feeling no pain at all now, 6 hours after the root canal (2 canals) I am to stay on antibiotics for a week and then will go back for the final "sealing" after the infection has subsided. I highly suggest going to a specialist who does these on a daily basis and knows what they are doing. I had read that the infection only goes away when the source of the infection is gone. Infection is too dangerous these days to have lurking around for 2 weeks! It's your life folks - be your own advocate. Ask around as to who is a good endodontist and don't stop until you have an appt.! I had a root canal yesterday. The procedure was not painful as I had a local anesthetic, but when it wore off the pain was worse than before the procedure. On the second day today I have a constant dull ache. I was given an antibiotic which made me nauseated. I'm still in a lot of pain and I am wondering if the pain is from infection. I have had three root canals over my life time and so far have lost two of the "saved" teeth due to infection at the root of the tooth. The teeth are not ever fully sterilized from the infection and remnants can and most likely do remain. It can and will take years to reoccur. That is something the dentist's don't tell you. Patient beware. I had a root canal three days ago after being on antibiotics for a month to get rid of the infection. As the dentist was drilling out the canal, he began to see a lot of drainage, so he put in a temporary filling and put me back on antibiotics and I go back in a week. I am in more pain now than I was originally. My tooth throbs with pain and the pain pills he gave me don't do a thing for it. Next time the dentist says I need a root canal, I think I'll have the tooth pulled first! I have had several root canals and most of them were not successful. The best one was done at a local dental college. It was a procedure on a back upper molar. The tooth was first deadened then the canals were cleaned and a temporary filling put in. After that I had to have several more cleanings done without shots. It was a little painful but I have never had any trouble with that tooth. I think the main problem with a molar root canal is they don't get all of the nerve. I think that several maybe four or five treatments are necessary when you have three or four root canals in a large tooth. Go to the dental college. You will save your tooth. I just had my first root canl yesterday. I have a infection but I have the worst pain right now and The doctor prescribed me light pain killers and the pain is unbarriable. I only felt pain from the shots to administer the numbing medicine for my root canal. After that, I felt some pressure here and there, but no pain, even after returning home. It was really a piece of cake and much easier than a filling, I thought. I went to the dentist for fillings, had my incisor drilled out only to find I needed a root canal or extraction. I chose root canal. So far I am regretting it. I was in tremendous pain in the 2 weeks that I waited for the root canal appointment. I called the dentist twice only to be given antibiotics, the second call led to loratab for pain which is useless! At the root canal appointment I was told he had drilled too far, and didn't know it. He was apologetic but said I would not be in this pain again. I have a temporary filling in now until the real one can be done in 4 weeks. Let me say - I am again in the same tremendous pain. Pain shooting across my head, my ear, my eyes, upper and lower jaws, cheeks and face. Having great difficulty sleeping and can't eat. So I am nauseous now since I am taking Tylenol with codeine given to me by someone who feels pity on me. That helps with the pain but taking it on an empty stomach has proven to be very sickening. The pain won't stop and now I remember why I never wanted to go to the dentist in the first place. I had no pain at all and there wasn't even a Novocain shot or nitrous involved. I have just got a molar root canal done today. It was painless because of local anesthetic administered before the procedure. The only sore part is the inner wall of the mouth due to over-stretching for a long period of time (about an hour). Having a root canal done was not painful at all other than when the local was administered (which was no worse than when one is numbed for a filling). I did not like "hearing" the work being done, but it did not hurt. All I felt was some pressure from time to time. I had a root canal some 20 years ago, and I want it out. 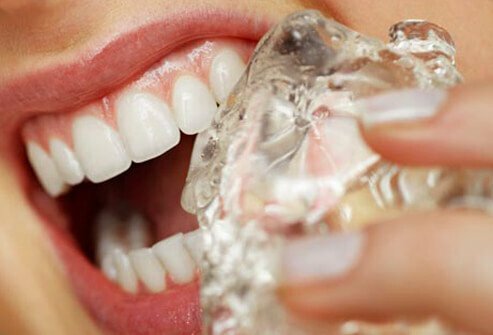 It has affected my health in the following ways: I have been using ibuprofen for pain, I have had teeth around the canal removed, yet I think that the root canal is causing dryness of mouth, along with other pain in the mouth. It seems to be in need of being removed, yet every dentist I go to says they can't figure out what kind of root canal it is. I can't find the dentist that did the root canal. I had my first root canal 5 days ago. Painless procedure but I have been in severe pain since then. The dentist could not explain how a tooth that is supposed to be without nerves can cause such agony. I cannot eat properly, had to have time off work, the whole of the left side of my face is in pain, and the tooth itself sends me through the roof if touched. Miserable and depressing. Horrible. I underwent a molar root canal before Christmas and have not yet seen the end of the ongoing pain. Extreme sensitivity to temperature and pressure plus a constant throbbing. It is so terrible I cannot eat or smile when there is a breeze. Today I had my probably fourth or fifth root canal and was dreading the procedure. Just as the dentist was bringing out the good ol' shots I got the idea to give nitrous oxide a try. What a surprise! I was so relaxed I didn't even pay any attention to the procedure, the rubber dam and blocks, drilling, etc. that I normally hate! And no side effects afterwards! For anyone who dreads going to the dentist, give nitrous oxide a try! It could make all the difference for you too!